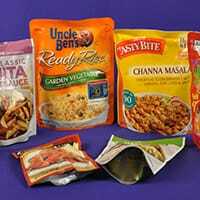 There is a growing trend towards flexible packaging largely manufactured from polymer films and various laminate structures. The primary driver behind the trend towards flexible packaging is Sustainability. A reliable rule of thumb is that the packaging system that delivers a product with the least total weight of packaging material is the most sustainable. Flexible films and laminates are growing because they represent less packaging material to deliver the same amount of product. One of the most important tenets of sustainability is to light-weight primary packages. The ultimate light-weight packages are flexible pouches, provided they are not required to support any significant stacking-type load. 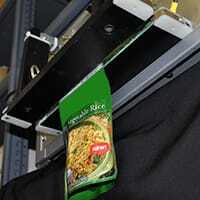 Innovations in film structures have enabled the adaptation of flexibles into the very challenging applications of hotfill, retort and microwave-ready food packaging. 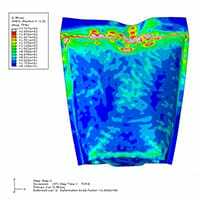 Although challenging, it is possible to use modeling and simulation to support the development of flexible packaging. Accurately characterizing the film for the loading situation being considered is critical to success, and much more complex than with rigid packaging. However once its characterized, predictive analysis tools can be used to understand the underlying physics that define the performance envelope of the package, avoiding costly and time-consuming trial and error development. Utilizing our extensive experience in packaging and materials, we have developed a physics-based modeling, simulation and analysis approach for flexible hotfill and retort packaging. This approach enables film manufacturers, packaging suppliers and OEM’s to eliminate trial and error development by predicting the performance of new designs before manufacturing a single package. The method can also be used as a process development tool, enabling simultaneous optimization of the process and pouch design and materials.